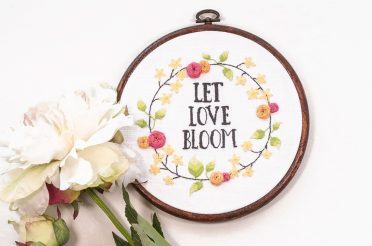 Have you ever found a great cross stitch pattern with text on it, but you’d love to change one word to make it more customized? 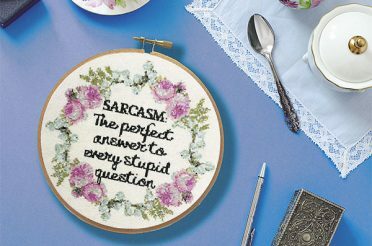 Or maybe you want to make your own cheeky stitched expressions? 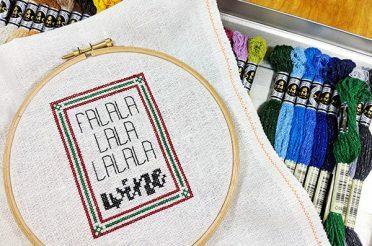 Using cross stitch alphabets can really let your personality shine, but sometimes it can be tricky knowing what to do with them or how to use them properly. 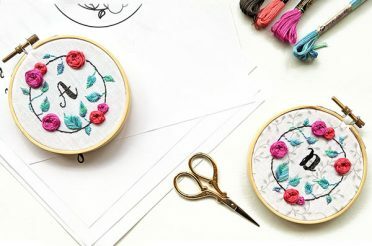 In this video tutorial, I’ll explain how to use the cross stitch alphabets at Peacock & Fig, and that will help you to use others you may have as well. First off, obviously you’ll need to find an alphabet that you like (or one that matches the pattern you already have). 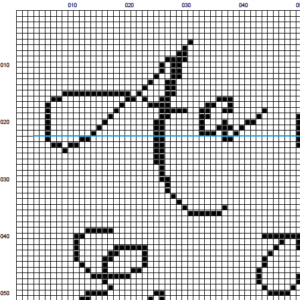 If you’re just wanting to use a simple alphabet, then using a free tool like this one at StitchPoint might work. 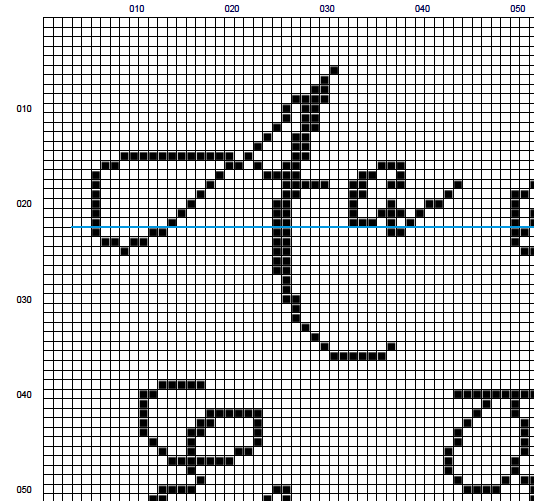 It has a few simple fonts you can choose from, so it’s good if you’re wanting to make a pattern from scratch. 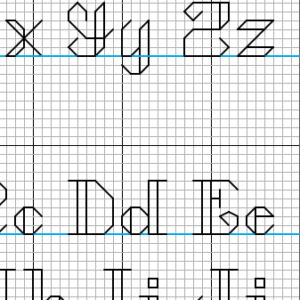 If you’re wanting a larger or more calligraphic font though, then you might have to look around to find a pattern. Just as a warning, many of the “free” patterns on sites such as Pinterest are often illegally copied charts, and many of the sites that host those charts can install malware on your computer when you download them. You’ll know the chart is genuinely free if it goes to the designer’s website, or a trusted site like DMC. There are several calligraphic charts available on this site that accompany the Vintage Sass Collection and Spirited Animals Collection. 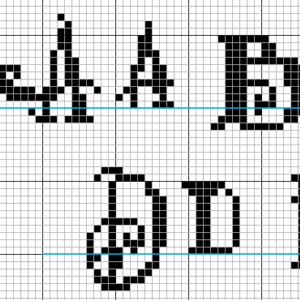 The full range of cross stitch alphabets can be seen here or by clicking the button below. Here is the tutorial video for how to use your alphabet, and more details are listed below the video. 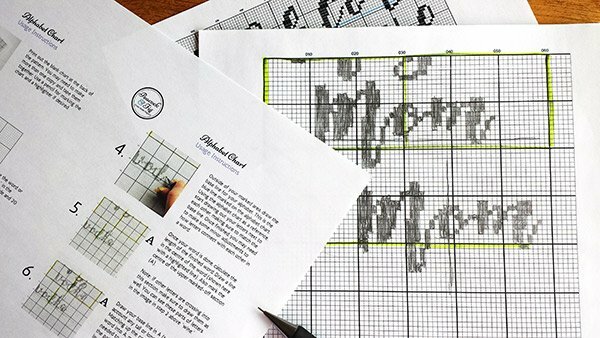 Print out the blank chart at the back of the pattern, and print several pages if you will be needing more space to plan your text and the layout. If customizing an existing pattern, calculate the area around the word you want to replace. 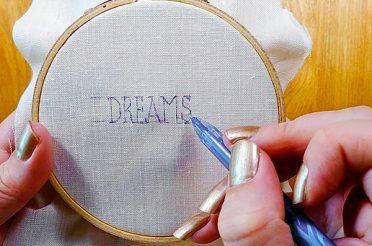 Make sure your selected area is centred if you want your text to be centred when stitching. 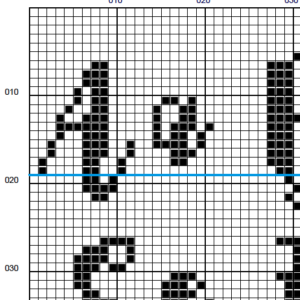 Mark the stitched area as a box (shown with highlighter in the video) on your blank chart, and you can also draw a vertical line to indicate the centre. Outside of your drawn box, draw your baseline (the blue line in Peacock & Fig alphabet charts). 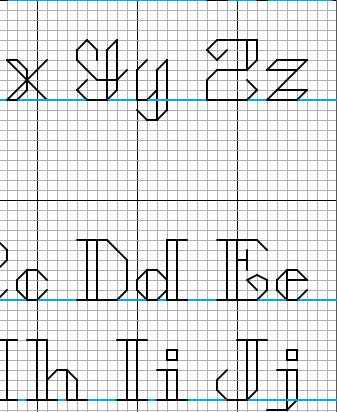 Start copying the letters for your text onto the baseline with pencil, making sure to match the baselines up. 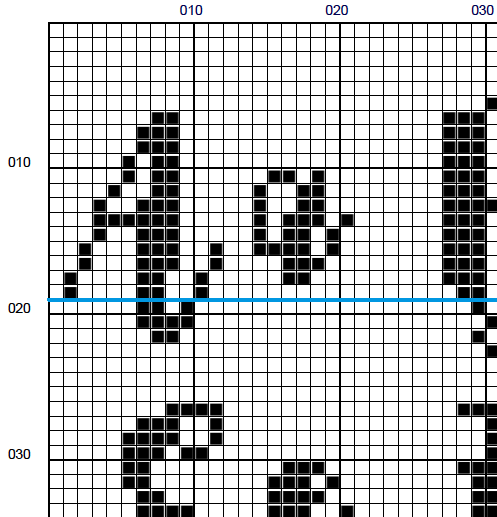 Feel free to adapt the spacing between letters as needed while drafting your pattern, or adjust the height of the individual letters. Once your word is drafted and you’re happy with how it looks, calculate how long the word is, and draw a vertical line indicating the centre of the word. 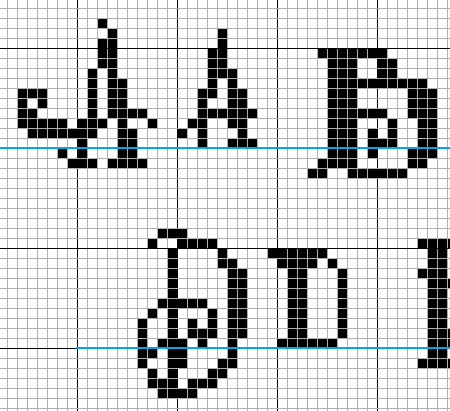 Draw a baseline into your drawn box, and draw in any portions of letters that are in the box (like the hanging down letters of “maybe” in the Maybe Wine Will Help pattern shown in the video). Re-draw the word into your drawn box, making sure to match up your baselines and centre lines. 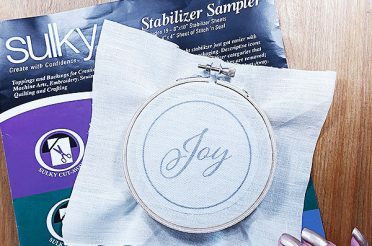 Make any adjustments as needed to the height or details of your text, or adjust any text that is crossing into your stitching area inside the box. Indicate on your printed pattern where you’ll be using your adapted version (so you don’t forget while stitching), or highlight that area in your digital PDF. Have fun stitching your new pattern! If you have any questions, please let me know below! I’d also love to see your finished patterns, you can post them on the Peacock & Fig Facebook page or tag me @peacockandfig on Instagram or Twitter. Happy stitching! 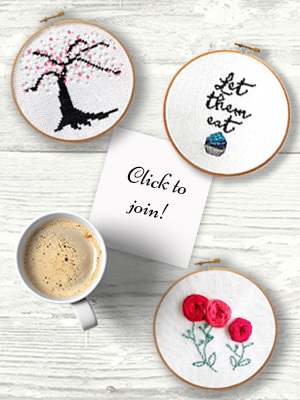 Want to make custom cross stitch patterns using alphabets? 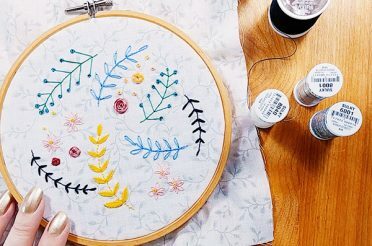 This video tutorial will show you how to use cross stitch alphabets to show off your personality! Valuable information. Thanks a lot. 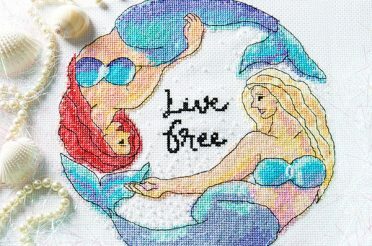 Bt I am new to stitching so I can’t the exact materials for stitching. Could you please guide me where to get these materials. 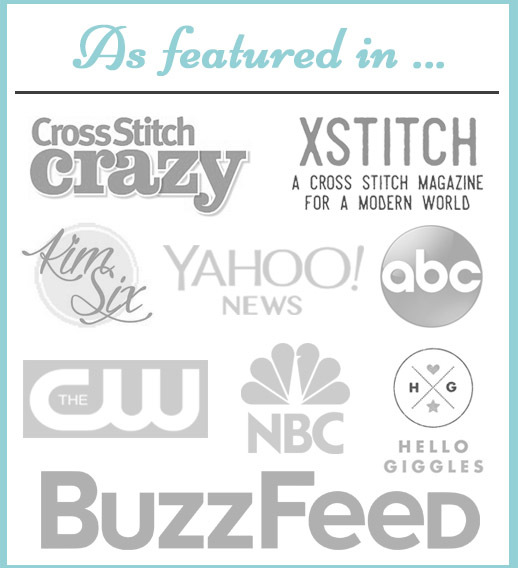 And what type of material is used for cross stitching? I always look forward for your article. Thanks for what you are doing.